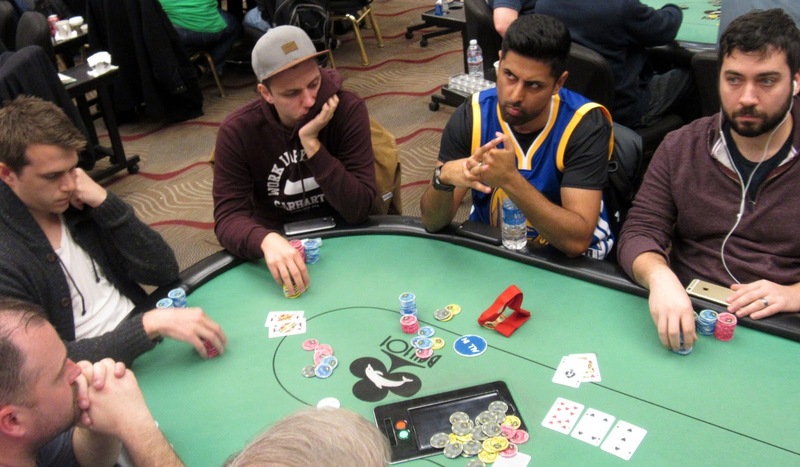 On a [Th][4s][3s] board, Mukul Pahuja bet 8,500 before his opponent raised to 27,000. Mukul took his time before moving all in for approximately 65,000, and his opponent snap called. Mukul's [As][Kh] was in trouble as he was up against [Jh][Jd]. Mukul was unable to find an ace, a king, or running cards, and he will be eliminated in roughly 180th place.